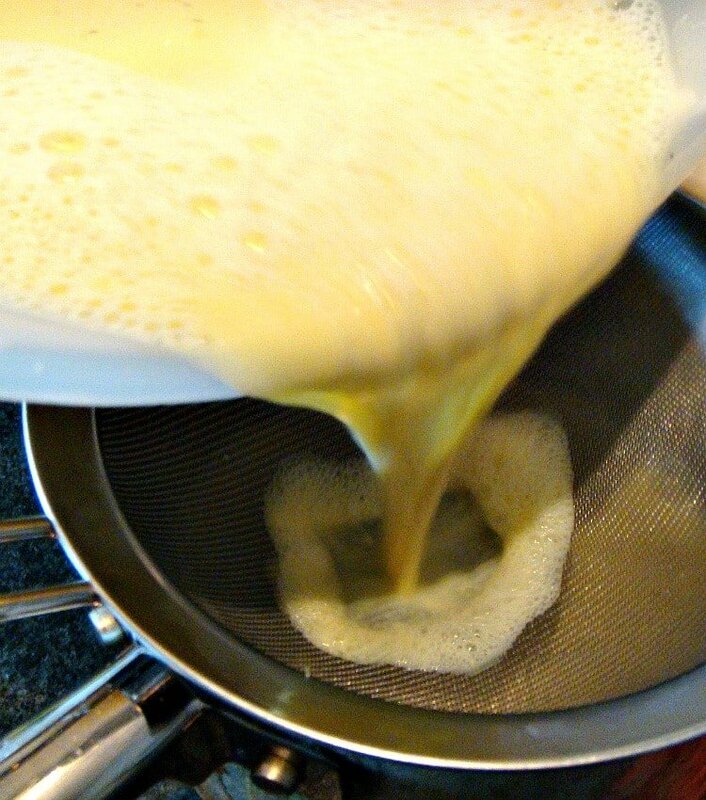 How To Make Home Made Custard. 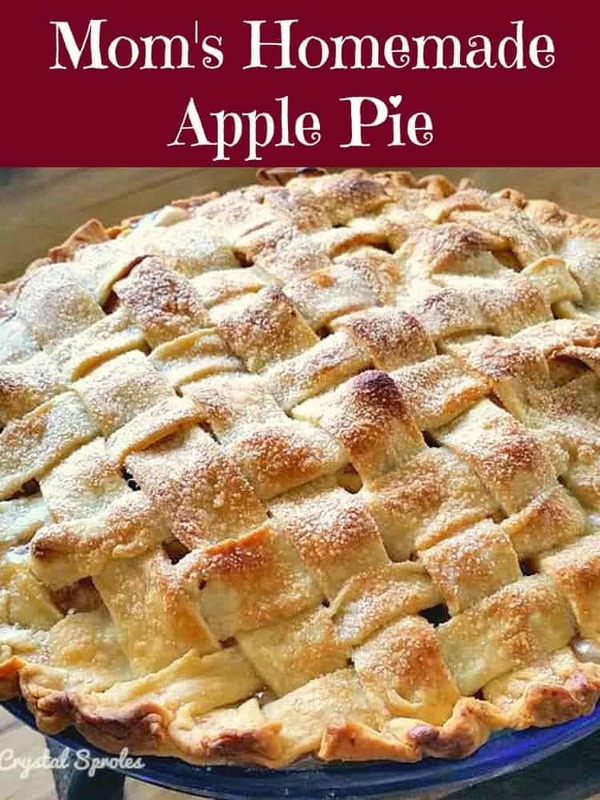 Pour some over your delicious apple pie or pudding! How To Make Home Made Custard. A great addition to your dessert. Pour some over your delicious apple pie or pudding! Always a hit at dessert time! Serve warm or chilled. How To Make Home Made Custard. 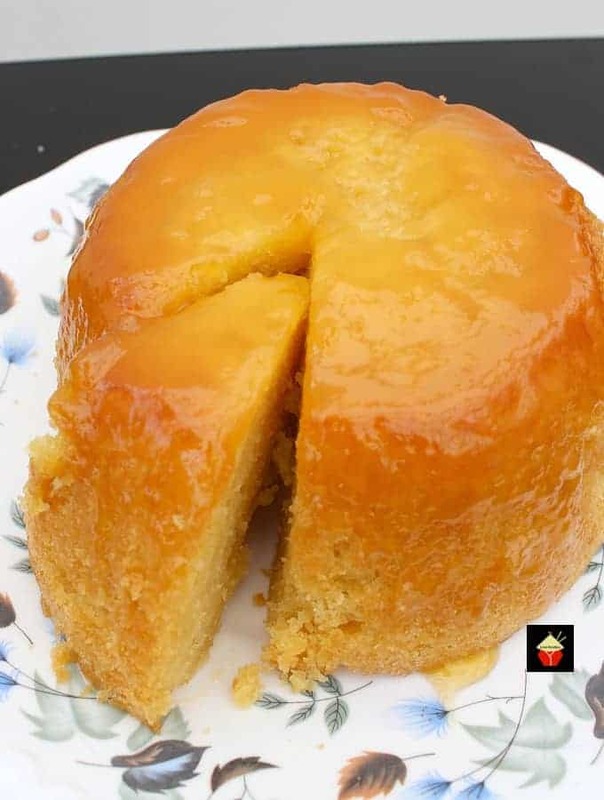 This is a wonderfully easy recipe and once you’ve made it from scratch, you won’t be buying store bought custard again! Nothing beats Home Made Custard. I like it so much I often serve it with puddings, or just eat it straight from the bowl. 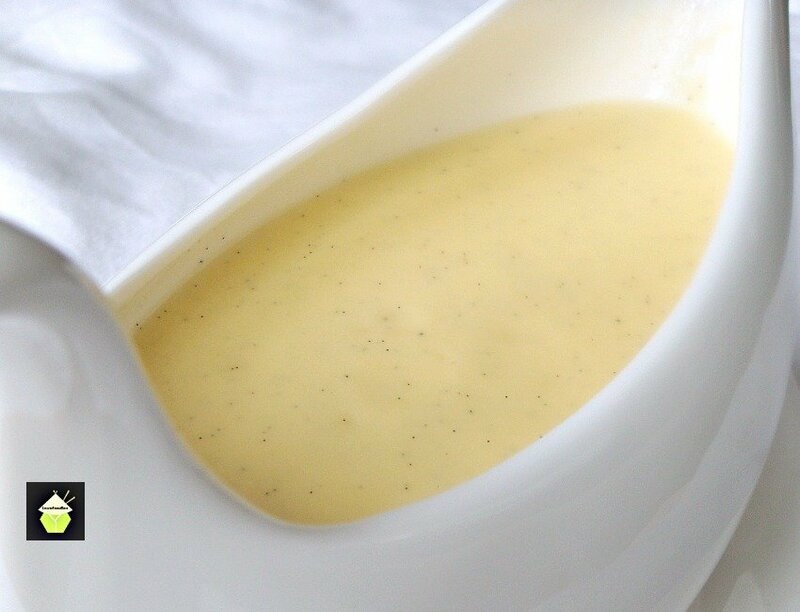 The addition of using the seeds from the vanilla pod really does make a difference, so if your budget will allow, it is well worth adding it to the custard. 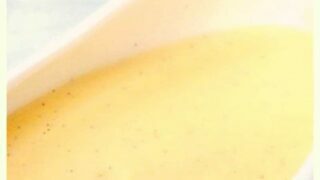 This custard is best eaten as soon as it is cooked. Whilst you can leave it to stand for a while, it will separate slightly, and I’ve found that the texture does change a little when it is reheated. You can also use this custard in trifles, such as our Blueberry and Lemon Trifle. 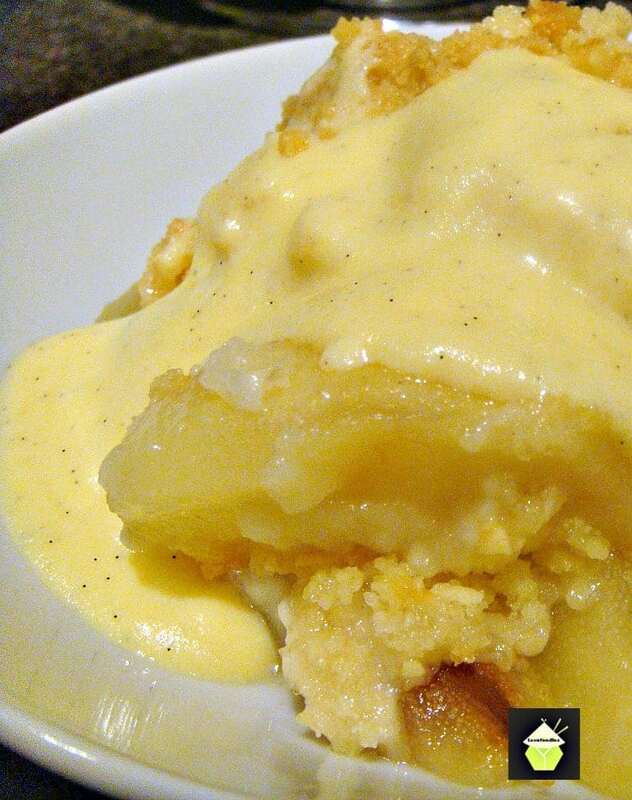 You can also use this homemade custard in our Easy Banana Cream Cake Trifle. Banana’s and trifle is such a wonderful combination. Sometimes I just serve warmed custard poured over sliced bananas. The kiddies love it too! It’s delicious chilled too! There is some controversy around adding corn starch or not to add it in the recipe. 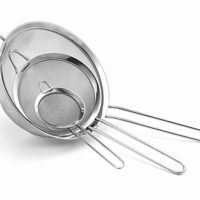 I have added it, simply because it helps to stabilize the eggs when they are being cooked. If you don’t cook this slowly on a low heat, you will more than likely end up with a scrambled egg dish, so the trick is, low heat and keep stirring! TIP: If you ever end up buying cake from a shop and it is a bit dry, add some warmed custard and it works a treat! 1. Remove the seeds from the vanilla pod and place in pan together with the pod and the milk. If not using vanilla pod, you can add 1 teaspoon of vanilla essence instead to the milk. Heat on a low heat until simmering. 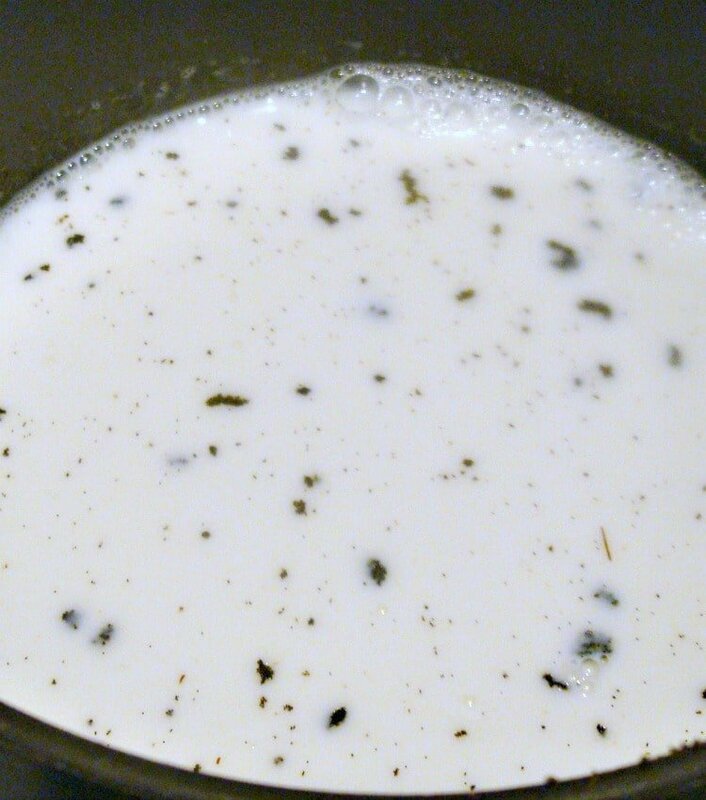 Once the milk starts to simmer, remove from heat and allow to cool for 10 – 15 minutes. 2. 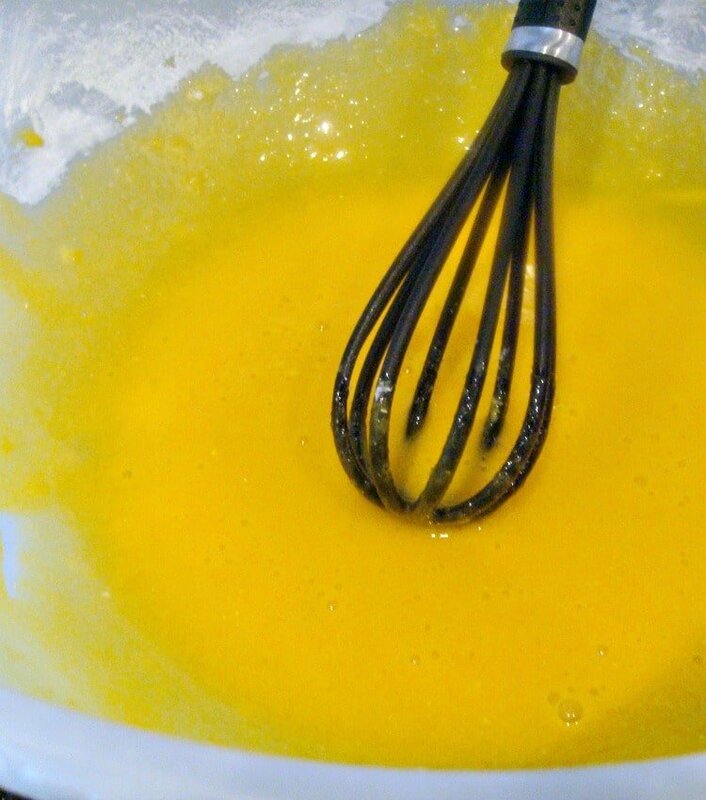 Separate egg yolks and in a large bowl, add the dry ingredients and whisk until combined. At this stage, you can add different flavorings if you wish, e.g. 2 Tablespoons Cocoa powder, or 1 teaspoon lemon or almond essence. 3. 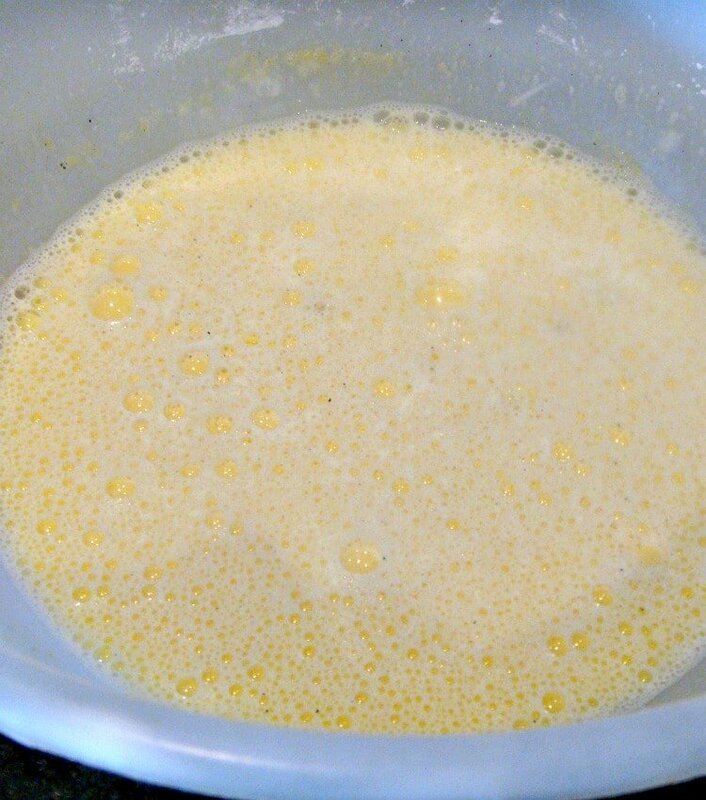 Once the milk is cool enough to touch, add to the egg mixture and whisk to combine. 4. Pass the mixture through a sieve to remove the vanilla pod and any lumps. and return the mixture to the heat. Gently heat, stirring all the time until the custard thickens. This will take about 3 – 4 minutes. Scrape the vanilla seeds from the underside of the sieve and add them to the milk. We don’t want to waste these! 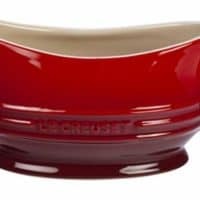 Once it thickens to your desired consistency (it should coat the back of a spoon and be thickish like yogurt), transfer to a serving jug or directly in to bowls. Delicious served with our Almond and Pear Crumble! 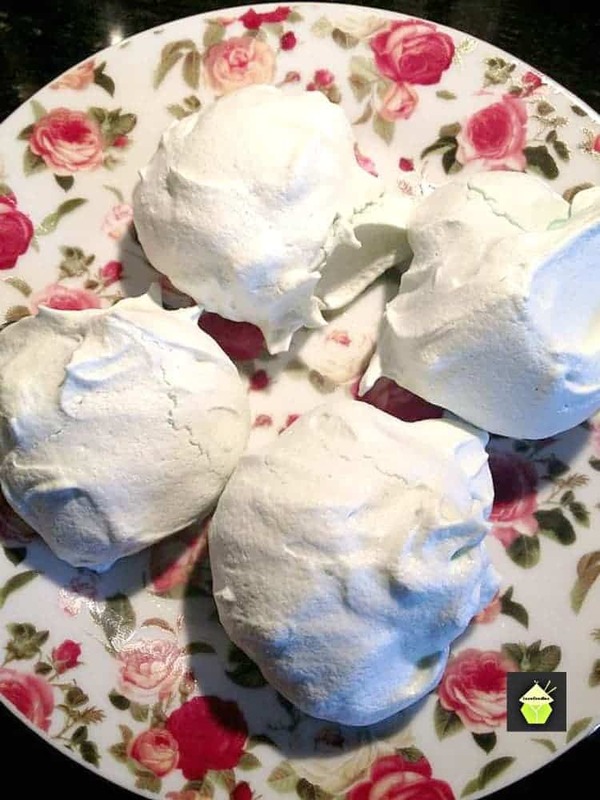 How about making some meringues with your left over egg whites? Click here to see the recipe. 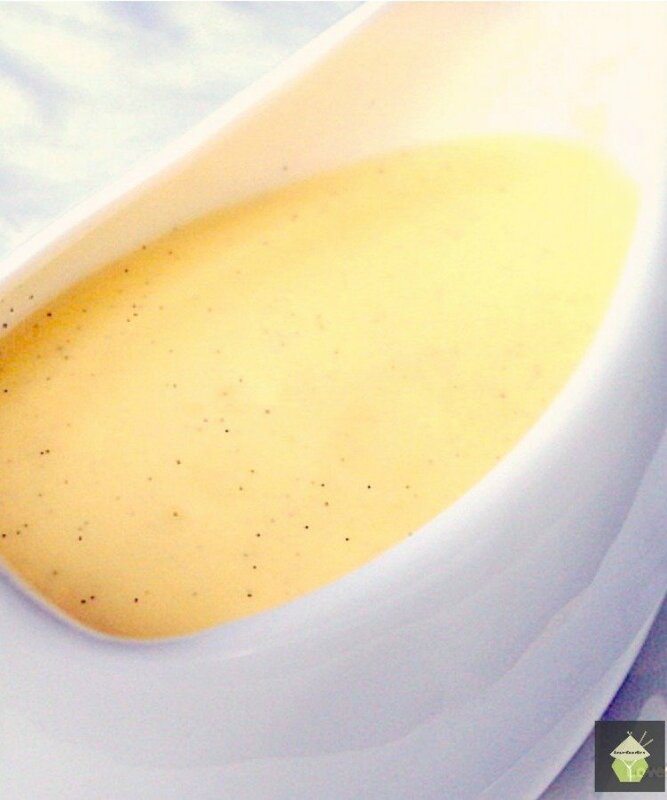 You can add different flavors to your custard, at stage 2 in this recipe. 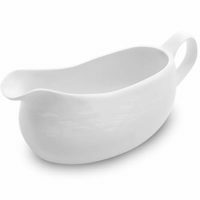 If you’d like to get a serving jug, here are a few we can suggest. Of course, there is a huge choice so choose one which will go with your tableware! 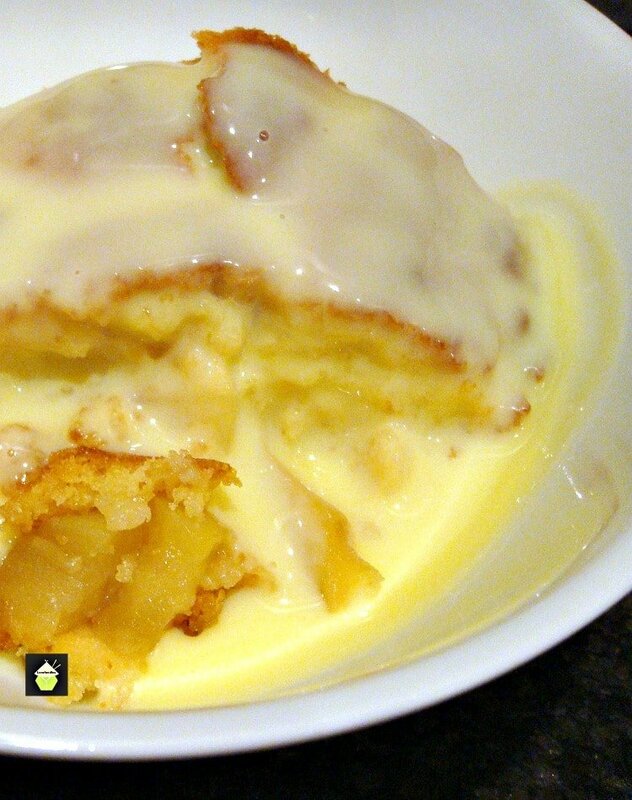 Here are some more lovely dessert recipes where you could pour the custard over. 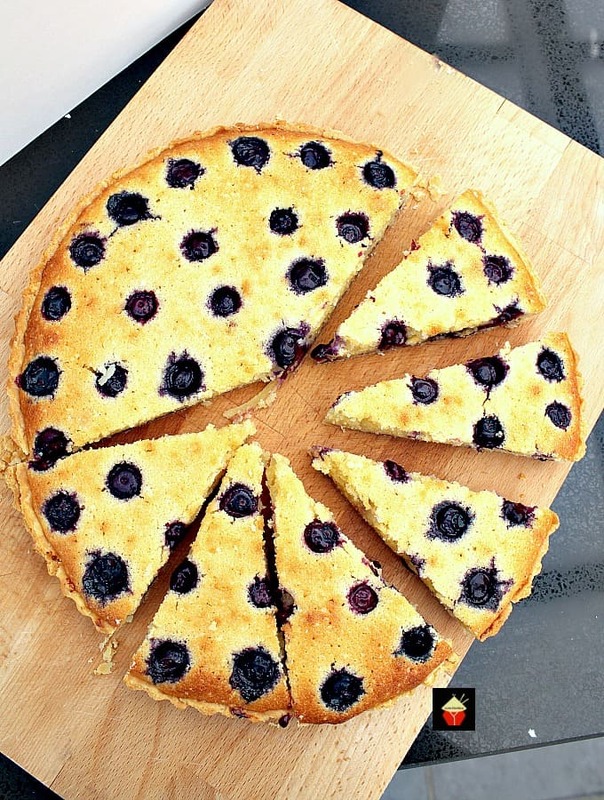 Blueberry Frangipane. A slice of this with some warm custard over the top is lovely! 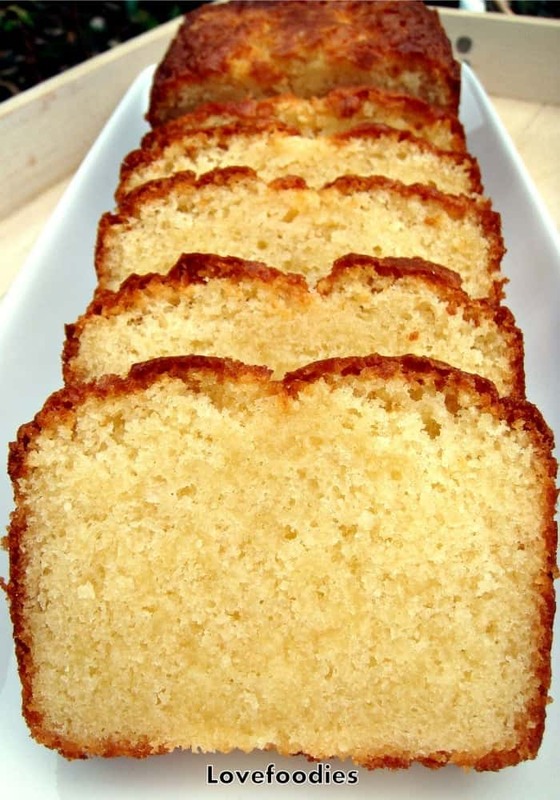 Keep it simple and pour some warm custard over a slice of our Vanilla Pound Cake. Oh my! Remove the seeds from the vanilla pod and place in pan together with the pod and the milk. If not using vanilla pod, you can add 1 teaspoon of vanilla essence instead to the milk. Heat on a low heat until simmering. Once the milk starts to simmer, remove from heat and allow to cool for 10 - 15 minutes. 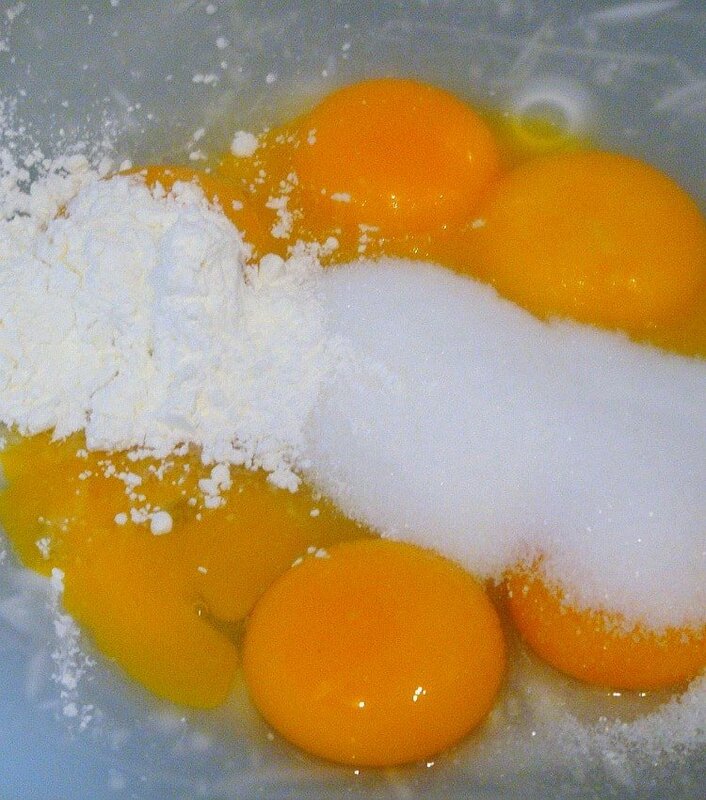 Separate egg yolks and in a large bowl, add the dry ingredients and whisk until combined. At this stage, you can add different flavourings if you wish, e.g. 2 Tablespoons Cocoa powder, or 1 teaspoon lemon or almond essence. Once the milk is cool enough to touch, add to the egg mixture and whisk to combine. Pass the mixture through a sieve to remove the vanilla pod and any lumps. and return the mixture to the heat. Gently heat, stirring all the time until the custard thickens. This will take about 3 - 4 minutes. Scrape the vanilla seeds from the underside of the sieve and add them to the milk. We don't want to waste these!